Do you like that orange dipping sauce for sushi or that delicious orange drizzle over sushi rolls? Spicy mayo is SO easy to make and you only need 2-INGREDIENTS! 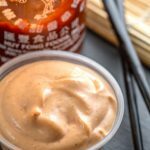 Try this spicy mayo sauce if you like that delicious restaurant-style spicy mayo dipping sauce! 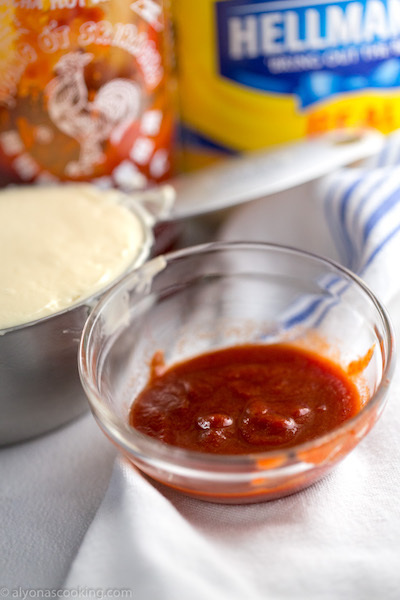 If your making homemade sushi rolls you NEED to make this spicy mayo sauce. It gives tremendous flavor to the sushi rolls! Now the ingredient proportions are key to a perfectly balanced spicy mayo sauce. 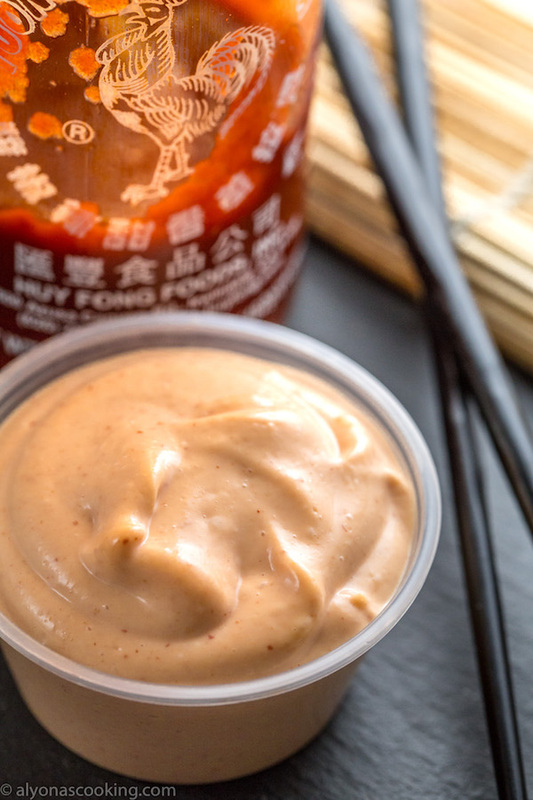 If you add to much sriracha (and a little can go a long way) it can be too overwhelmingly spicy and not enough sriracha can result in an overly mayo tasting sauce, so balance is key here. 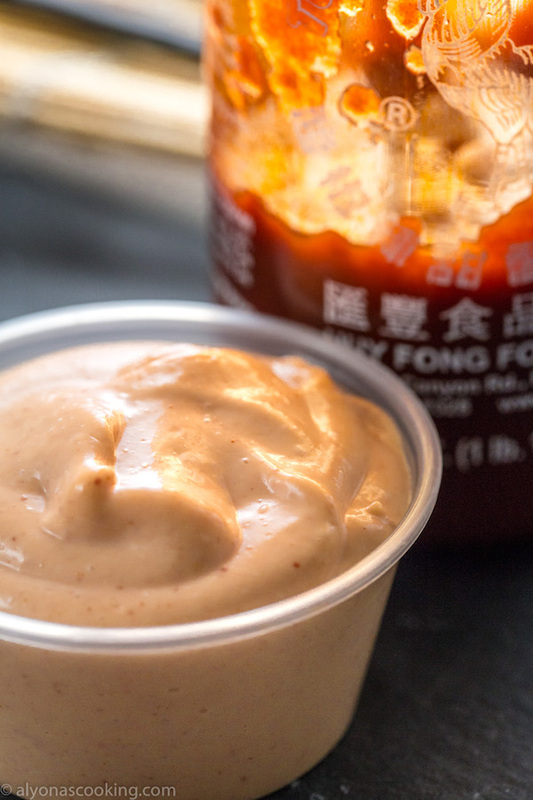 This mayo and sriracha proportion has just the right balance for that delicious tasting restaurant- style spicy mayo sauce. Drizzle or dunk your sushi in this sauce because it’s that good! Do you like that orange dipping sauce for sushi or that delicious orange drizzle over sushi rolls? Well Spicy mayo is SO easy to make and you only need 2-INGREDIENTS and the right proportions! Make this homemade spicy mayo from the convenience of your kitchen and get that delicious restaurant style tasting spicy mayo dipping sauce! This spicy mayo is perfect! I used to only eat sushi with soy sauce until I tried your spicy mayo. And now that is all that I have with sushi!! Thank you.